Deformer Curved Surface Option Gone?? 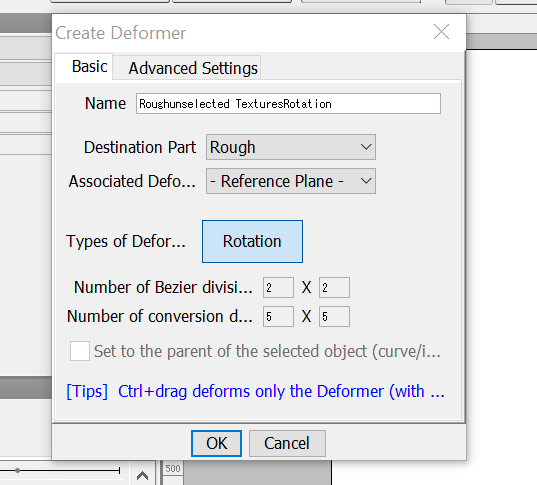 I seem to have an issue where when I click on the button for the deformer options, only rotation shows up. Though the tab itself looks like its squished, some of the sentences arent finished etc. I never personally did so and I cant seem to stretch it back to size myself. Im curious if this is because Im using windows 10 or? Is there perhaps some option to stretch it? Please try to set PC character display to 100%. Yep that worked, funny though when I had tried that the first time nothing changed, but I came back this morning and it changed. Thank you anyhow. How do I set the PC character display to 100%? I'm having the same problem you were.